Has everyone heard of Jewelmint.com? It's kind of amazing! It's a colaboration between Kate Bosworth and stylist Cher Coulter. Their taste in jewelry is so unique and fun! Since Shoedazzle has been a bust the past 5 months, I've been looking for a new monthly indulgence. Yes, I spend around $40 a month on me! If it's not shoes, it's jewelry or a purse. I don't smoke cigarettes, I don't drink often, I don't get tons of magazines delivered to my house, and I'm not into the lotto. I choose to spend my petty cash on frivolous things that make me feel pretty and spoiled. Okay, now that I've justified it, lets talk about how cool this site is! For starters it's only $29.99 per month (or per item. You can order as many items as you would like!) Just like shoedazzle, if you don't want to order for the month, you just click a button that says skip this month. Easy! You take a few minutes and answer style questions about yourself. Then you go to your showroom and view your options. I had 4 pieces of jewelry in my showroom to start. I liked them, but wanted more so I clicked on the see more jewelry link. I then had a pop up on my page that let me scroll through 10 more pieces and click "like" on the ones I wanted and it put those pieces into my showroom as well. I want all of them!! This is crazy! Ummmm....HELLO! I am all about this!! Def send me a sign up! I am giddy with excitement! You know I LOVE jewelry, so this site is just calling my name! wow I really love this jewl: it's so elegant and rafined! I've never heard of this (but heard about ShoeDazzle).. That's a great necklace and a super steal too!! 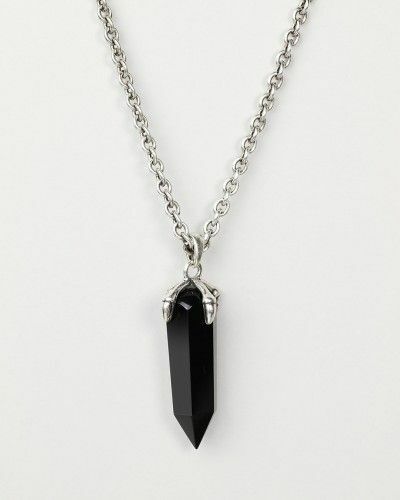 such a beautiful necklace :O.
first you got my addicted to shoedazzle, and now a jewelry site.....Lisa, im blaming you when my bank calls that my account is in the negatives haha. but please send me an invite so you get your jewelry! How fun is this??! Can't wait to see what you've picked each month!